When you think of pumpkins, you probably envision jack-o-lanterns or Halloween. But, pumpkins are more than just Fall decorations or desserts. They are available all year round, although you may see more of them at the start of Fall. Pumpkins are good for way more than carving, painting, and their seeds. In fact, pumpkins are one of the healthiest foods you can include in your diet. As the weather turns cold, pumpkins make great warm foods by warming your body from the inside out. A warmer body strengthens your immune system, inhibits the growth of invading viruses or bacteria, and fends off winter bugs to prevent you from getting sick. Make pumpkins a part of your diet all year round, and not just during Fall. 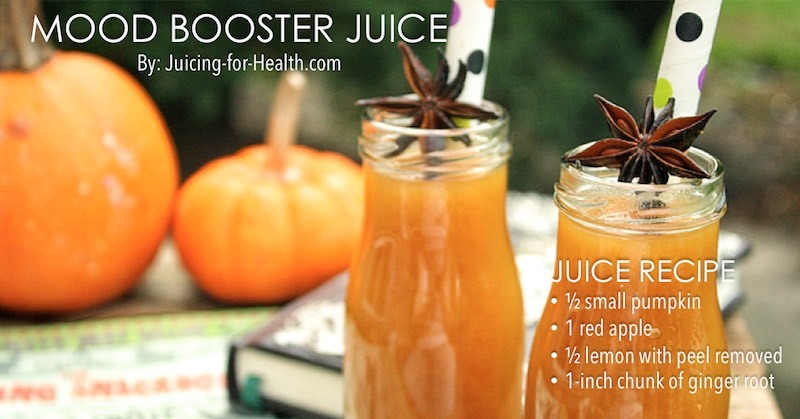 An excellent way of including pumpkins in your diet is to make pumpkin juice. Its unique taste is mildly sweet, rich and very fulfilling. As you learn about the health benefits of pumpkins, you’ll wonder why you aren’t eating them every day already. The bright, rich color of a pumpkin is from the carotenoids. Carotenoids are phytochemical compounds that are known for protecting your eyesight. However, carotenoids aren’t just good for eyesight, they can also improve your skin complexion and prevent cancer. If you have an active life, or hope to have an active life—start working pumpkin into your daily routine now. Pumpkins are a long-lasting energy source, they reduce fatigue and improve athletic performance. You may be curious as to why pumpkin juice is preferable to eating pumpkin. Pumpkin, as it is, is an extremely filling food. Because of that, you may only be able to eat a little bit before you get full. 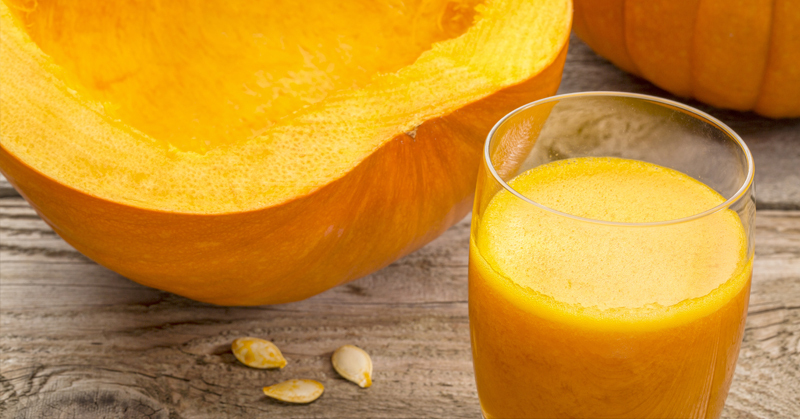 By making pumpkin juice, you can consume more of it to take advantage of its full benefits. 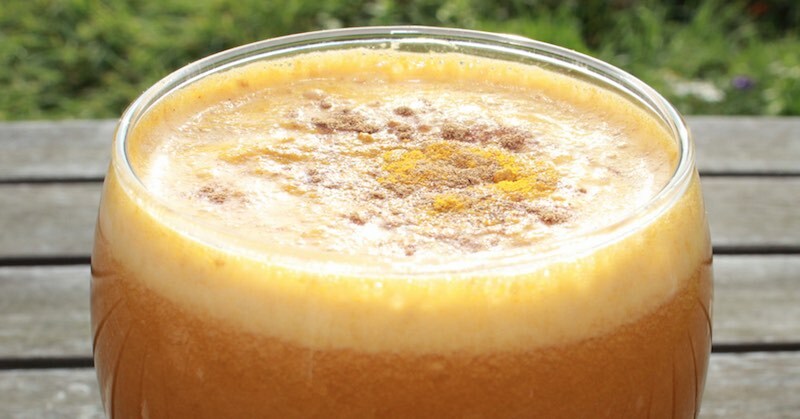 You can mix pumpkin with other fruits and vegetables to make a variety of interesting and delicious juices. You may not have tried pumpkin juice, but I can tell you, it tastes so good! I’m talking about raw pumpkin juice, not steaming/boiling pumpkin and making a smoothie. Raw pumpkin juice. And it’s easy to make. To make your juice, wash all your ingredients, cut them into smaller sizes so that they fit through your juicer chute. Simply run all of these ingredients through your juicer. A slow juicer can juice these ingredients easily and produce a smooth juice. If using a centrifugal juicer, a little more pumpkin may be needed as the juice yield is not as high as that of a slow juicer. 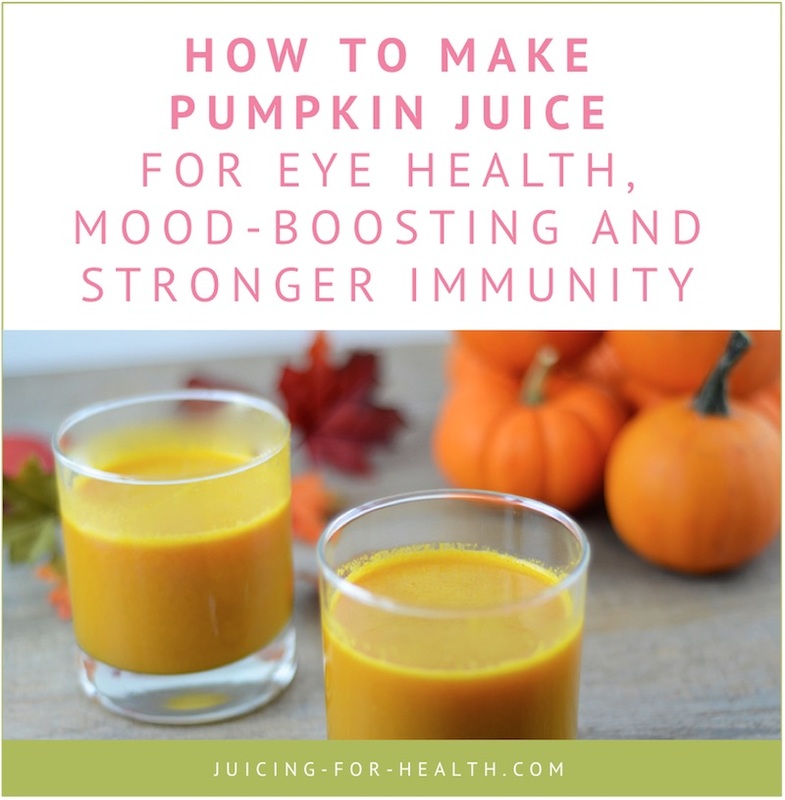 This pumpkin juice recipe is so rich in carotenoids that convert into vitamin A. This precursor to vitamin A is essential for good eye health. It prevents eye problems such as macular degeneration, cataracts and astigmatism. This is an easy juice recipe that I like. Simply juice half a medium-sized pumpkin, and add to it, milk of your choice. I use coconut milk, or goat’s milk whenever I have it in my fridge. Add ¼ teaspoon of turmeric powder and ¼ teaspoon of cinnamon powder. I then blend it with my mini drink frother to work up some froth. If you make it in bigger quantity, you can use an immersion blender to work up the froth. Serve cool. Make your own real pumpkin spice latte that is richer and creamier. The health benefits of pumpkin mean that it should be part of everyone’s diet. Even if you have never had pumpkin juice before in your life, it is not too late. Get started today! Read: How to use pumpkin seeds to paralyze parasites and intestinal worms.